Here is some new information from our website about how I am working with horses, riders, and equine-centered organizations. 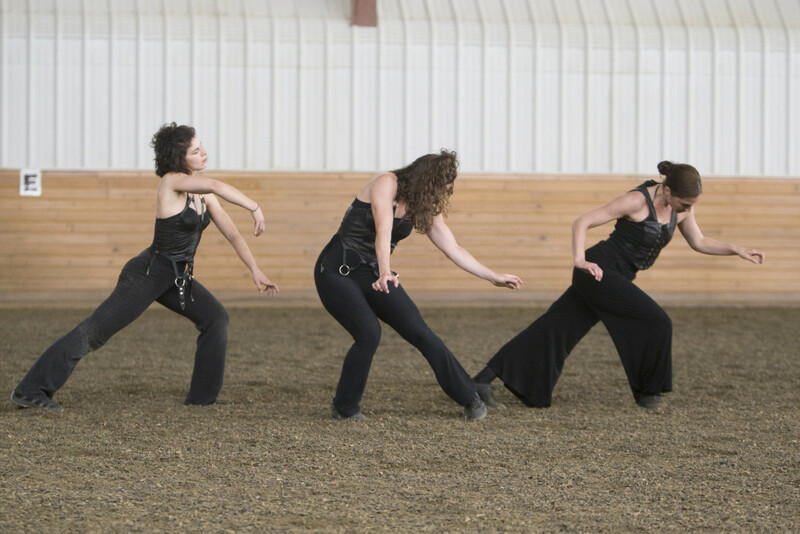 Embodied Horsemanship workshops and clinics for riders and horse people of all ages and disciplines. 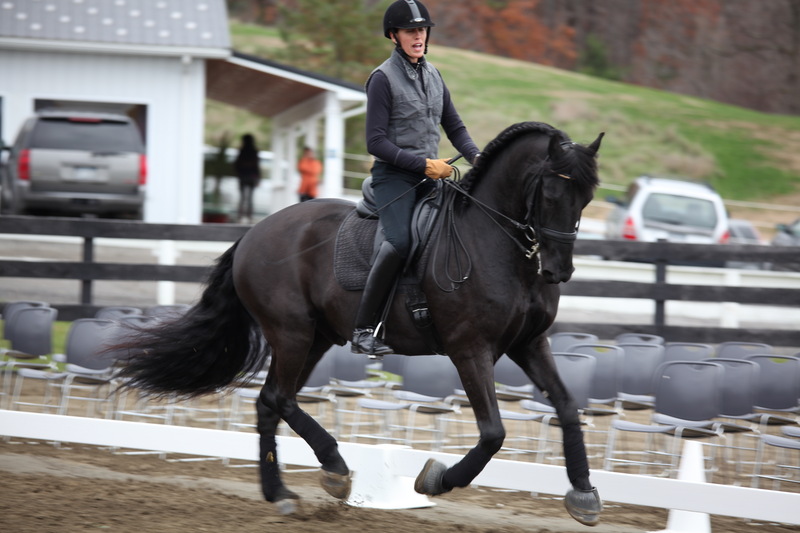 Embodied Equine Experiencing clinics tailored specifically for your program or stable. including performance works developed at your stable with your horses and student riders. Our Horses, Ourselves: Discovering the Common Body. If you are interested in any of these possibilities, please Contact Paula. 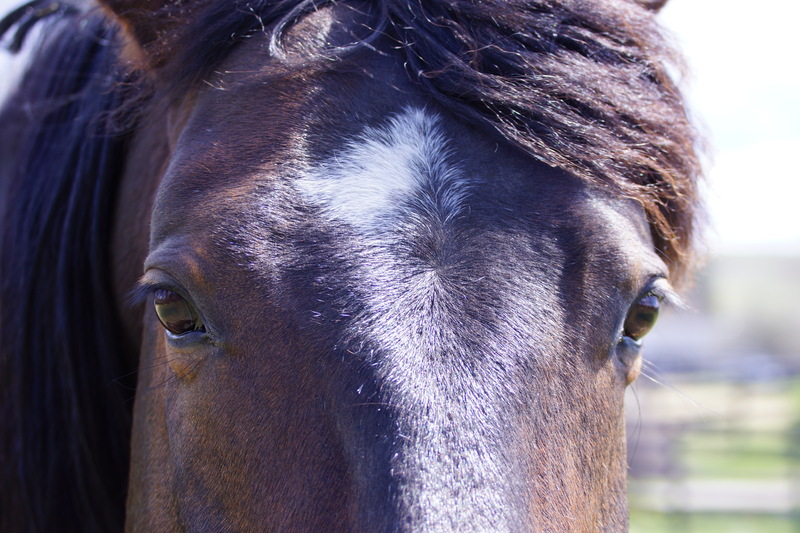 You can also make a DONATION to support this work — Your contribution helps us to make this work available to more equine-centered organizations. Thank you! SUBSCRIBE HERE to receive the Free Daily Post. I just posted a new page on my website, called THE HORSES. I wanted to share a bit more information about my equine collaborators, Capprichio, Amadeo and Sanne. All three have worked with me in performances, and all three are my co-therapists in my Somatic Experiencing/equine therapy practice. Each one is so unique, so clear in what they bring to a session or a dance. As I wrote the page, I wondered, is this confusing? I am sending out appeals for the INDIEGOGO campaign for RIVER/BODY, the dance that I am creating in the Housatonic River this summer. Then I am posting about my equine work. Soon I will be telling you about some solo performances coming up this summer, and announcing a book talk or a podcast. I don’t feel the separation among these, but more and more feel the flow of connection among them and the way that they intersect and support each other. I can feel how one led inevitably and naturally to the next, and then back again. Many years ago I was privileged to take a 10-day Delicious Movement Workshop training with Eiko & Koma. It changed forever the way I experience and understand movement. During the workshop, Eiko said that she does not commute from her work to her daily life. I realized that I did a lot of commuting and compartmentalizing, and separating. In saying that, she helped me to find the deeper rhythms that underlie all that engages me. Now, as I am expanding my private work, and entering the waters of a new dance, I am listening for the connections. What is it to enter and hold the river of the horses’s movement and body within the banks of my own? How can I ride and be ridden by the river? How can I support others’ capacity to connect with the deeper currents underneath that which seems to separate us? What is this common body that we share? I had the pleasure of speaking to Amy Schuber for her PODCAST, Inspired Conversations. Embodiment as a conscious flowing awareness of inner and outer experiencing. I hope that you enjoy listening. Don’t hesitate to contact me with the email link below if you have questions or would like to schedule a session in my studio, at the stable or via Skype. Yesterday I had the privilege of giving a webinar on working with horses and movement for the Somatic Experiencing© Trauma Healing Institute. One of the things that I said during that talk was that for most people, movement is functional: about going somewhere or doing something. In that “going/doing preoccupation” much of the expressive world of our movement can be lost. We forget that we are all dancers. We forget to play, and that we are moving participants in a human/animal herd! In my experience, by “waking up” the body, becoming more improvisational and playful in our movement interactions, becoming more aware of how we are moving and how that movement feels – we can begin to feel and connect to each other more clearly, with greater curiosity and fluency. After all, 60-80% of our movement interactions are non-verbal. Movement is our first and most important shared language! The horses can help us with that. When I am working with a client or student, I focus on supporting her (or him) in listening inwardly to their own bodies, and in particular to any impulses for movement. If we are working with a horse, I may ask them to simply rest with their hands on the horse, noticing the horse’s and their own responses and the feeling in their own body. Breathing. Settling into a shared, breathing stillness. Feeling the play between stillness and whatever movement may be happening. Connecting the inside of themselves with the inside of the horse. 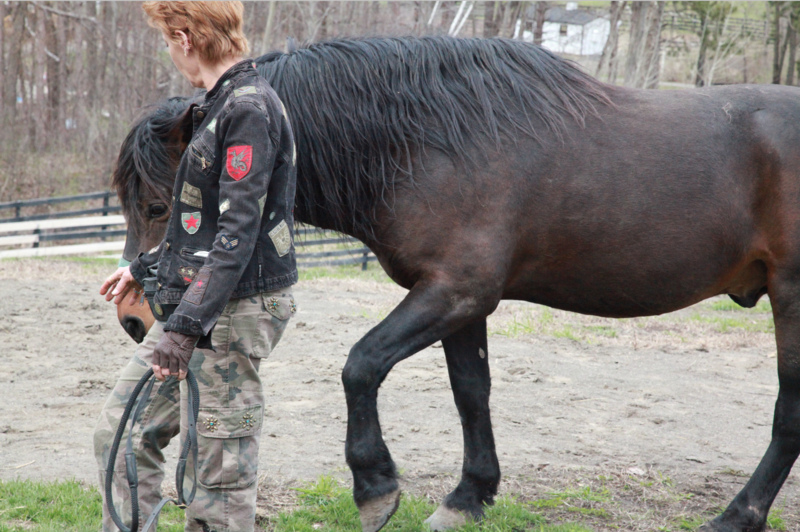 From there, instead of just moving the hands to another place on the horse’s body, or petting or massaging the horse, wait for an impulse from your own body to move your hands. If there is no impulse to move, just stay where you are. Be curious about that. When you do move, imagine moving from a sense of attunement with the horse. After moving, let yourself settle into the reciprocal (giving and receiving) feeling of that connection.